The same perfect layer as the Woolover quarter zip with the added versatility of a full zipper. Let's say you were Superman and needed to bare your credentials. This is the washable wool jacket for you. Just unzip, grab each lapel with a super hand, and pull back simultaneously to reveal the iconic S. May your enemies run for cover. Fantastic, lightweight, warm, wish it had a zip pocket somewhere. 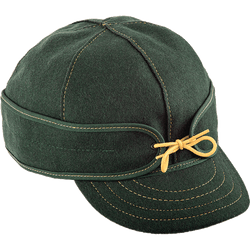 NOT TO THE QUALITY OF OTHER PRODUCTS PURCHASED FROM STORMY KROMER. WOULD NOT PURCHASE AGAIN . 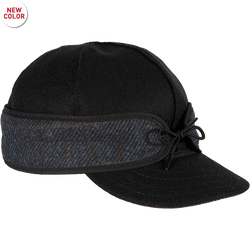 I HAVE FIVE OTHER PRODUCTS FROM STORMY KROMER . First the pros: It is surprisingly warm, soft and comfortable. This is the jacket my husband grabs when it's really cold. When I was sick with the chills it was the only thing that kept me warm. The full length zipper is nice for easy on and off. Finally, it looks quite nice, and can be dressy casual in a pinch. The Cons: It does pill, and there seems to be quite a bit of wear in the sleeves for its age. 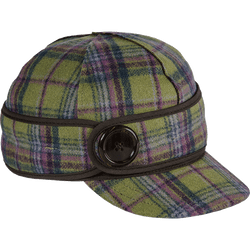 It was rather expensive, so it was surprising to see this happening so soon, as Stormy Kromer items do usually wear much better. Bought this for my husband...very little wool and after only a couple times of wearing, showed signs of pulling. Ended up sending it back. Should not be called a Woolover with only a small amount of wool actually in the product. Not worth the $150 for sure. This was a gift for a friend. He loves the convenience of the full-length zipper. The workmanship of this item is excellent; the fit is true to size; and the blend of poly/acrylic/wool is perfect for warmth, softness, and durability. I bought this jacket with the expectation that it would wear well. After two (or maybe three) short wearings, the material started to pill and fuzz up dramatically to the point it looked like it was years old. I sent it back for a refund, and was told they could not refund my money because the item wasn't in new condition. Well, no s---, Sherlock. I returned it because it was crap. Stormy Kromer has lost me as a customer for life! This jacket is made very well as I would expect from a Stormy Kromer item. The only reason I didn't rate it at 5 stars is that I would like to see some elastic in the cuffs and an inside pocket large enough to hold a cell phone.